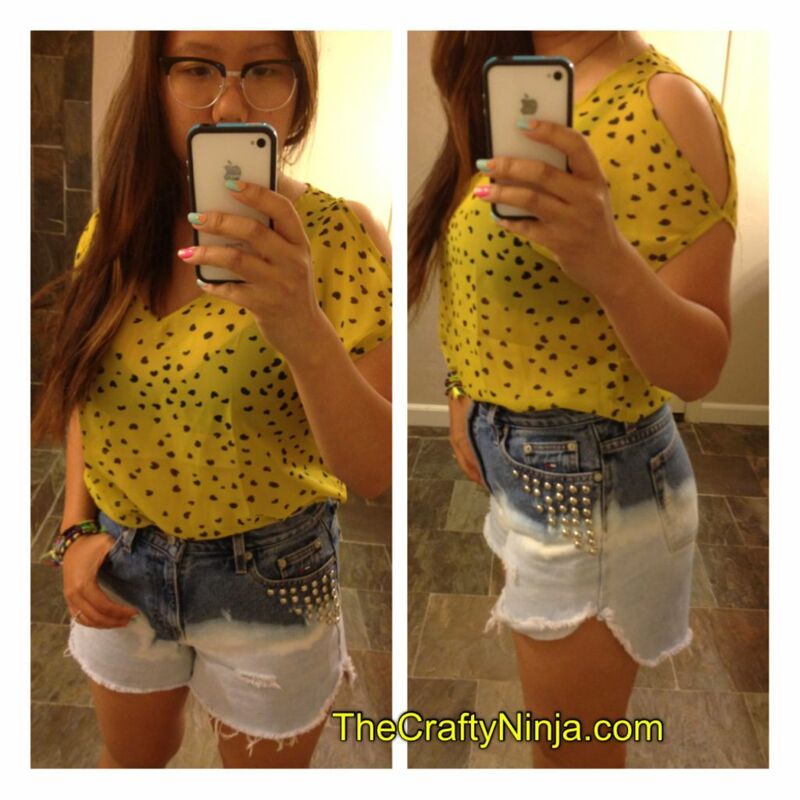 Here are my two looks I created with my DIY Studded Shorts. The hot trend are high waist jeans with embellishments, such as studs, fabric, or lace. I purchased both my vintage denim shorts from Goodwill. This look is my high waist DIY Distressed Ombre Studded Jeans paired with a Mustard yellow cut out sleeves top. This look is my high waist DIY Pyramid Studded Fabric Leopard Jeans with a Color Block Blazer, and American Apparel Gloria-V Bodysuit.